Book Review: This book promises to reveal the secrets hidden in the silence of darkness. As the night falls, the cursed creatures rise in the wilderness searching for fresh human blood. Maldorfina is a large territory in the legendary county of Transylvania- the land of blood thirsty Dracula-like vampire lords. Here the royal Drakes are not as savage as the medieval folklore. Infact they are considered protectors of the kingdom and its people having made a pact with them to survive along with the humans. To protect their people from all kinds of dangers they created warrior clans from the royal lineage and named them as the Guardians. The story is about Lena from the Guardian clan of Gerricksons who is desperate to get a permanent cure for her ailing sister. The world of vampires and werewolves is intriguing with deep secrets of immortality and all kinds of cure hidden in the dark forests but carrying a risk of inviting a hoard of deadly creatures which Lena must face in order to get the herbs and fruits which could completely cure her sister. 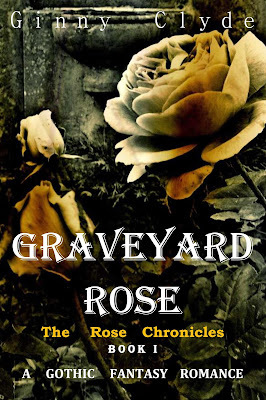 The story is a hit and reminds the readers of Twilight- like vampire and werewolf tales. The way author Ginny has created her version definitely stands out from the rest. The plot is deep and the pace is superb and you could easily imagine a movie running right in front of your eyes. The characters are strong and the leading lady Lena honestly looked like Kate Beckinsale and kept me completely hooked to the book. The book deserves 5 stars but again as it is a series and the story is not complete I will have to read the next edition for the final verdict. Nevertheless the author Ginny has done an amazing work and her book deserves to be immediately bought. Now available on our online shop powered by Amazon! is this book available in paperback?